Are you in or near Clare? 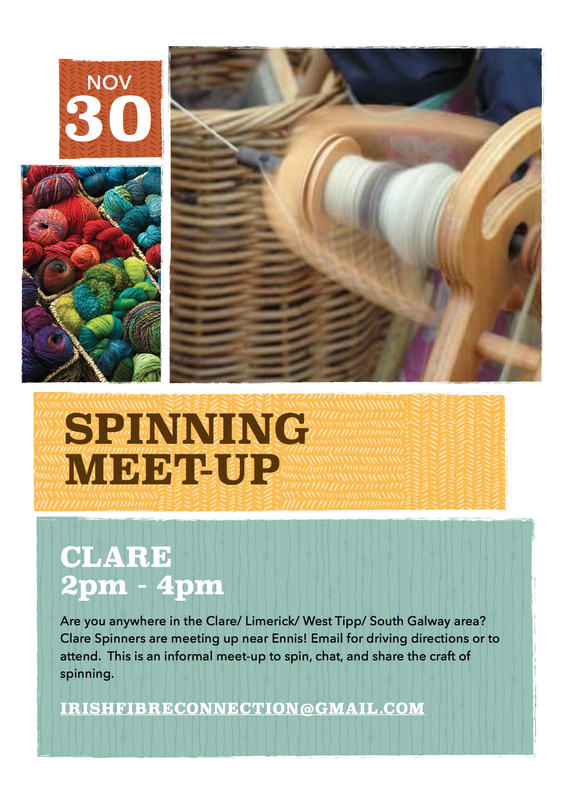 Clare spinners are meeting up on Sunday 30 November, 2-4pm. Email irishfibreconnection@gmail.com for directions and location. Run by Sandra and Patricia.